"The newly constructed Matara -Beliatta railway extension will be vested with the public on April 8" the Deputy Project Director Priyantha Deegala said. A test rail run was operated on March 31st and it has marked success, he added. According to Deegala , once the Railway track is open for operation, trains would run four times a day from Beliatta. 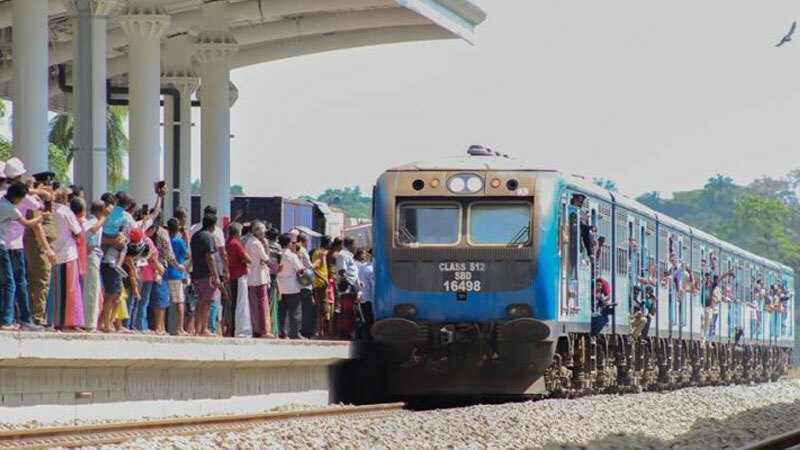 The 113-kilometer railway line from Matara to Kataragama is to be completed in three phases and the Matara to Beliatta segment is the first phase of the project. The second phase of the project is the 48 kilometer segment from Beliatta to Hambantota and in the third phase the track will be extended to another 39 kilometers covering Hambantota and Kataragama. Construction of the Matara to Beliatta section was carried out at a cost of US$ 278 million by a Chinese company with the funding from China Exim Bank. Supervision was done, under the guidance of the Central Engineering Bureau.